With its large type, big buttons and touch feedback, Fujitsu is essentially going after seniors. And the company is not alone. Not far away, Kyocera was showing its own device, the Mi-Look. 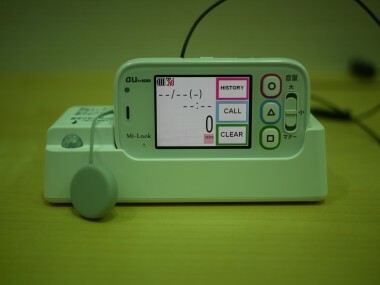 Available in Japan, the basic cellphone is designed for senior citizens living alone, and includes a number of monitoring features for family members. A version of Fujitsu’s Stylistic S01 has also been available in Japan, but is coming to Europe this year with France Telecom-Orange. The phone will hit France around June, followed by the United Kingdom and Germany, and eventually Italy and Spain. Its features include measuring steps and calories (using the camera to estimate food intake). The Stylistic also has a “help” button that can be pulled out to trigger an automated call to a preset number that requests help and includes GPS location information. 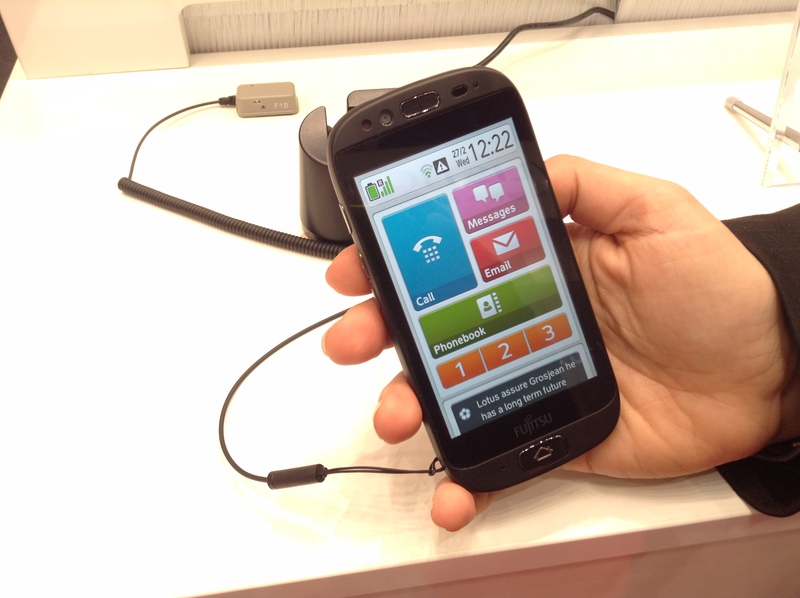 Kyocera’s phone features a strap at the end of the device that can be pulled in case of an emergency. When activated, the phone makes a loud sound, and an email is sent to an emergency contact with the user’s location, using the phone’s GPS. In addition, the Mi-Look also comes with a docking station that has a motion sensor. If the sensors don’t pick up any movement over an extended period of time, the dock will send an email notification to a contact person. The Mi-Look also doubles as a pedometer. It can track the number of steps a person takes and, you guessed it, send reports to a family member. Emporia Telecom focuses entirely on the senior market. Here in Barcelona, they debuted a new basic phone that can connect directly to a family member’s Android device or iPhone running Emporia’s eME app. Loved ones running the app can then directly send photos or update phone contacts on the Emporia device.